DETROIT -- Fiat Chrysler Automobiles' U.S. unit, which has chalked up 75 straight months of U.S. sales gains, is facing a coordinated federal probe into its sales reporting practices. FCA said it will "cooperate fully" with a Securities and Exchange Commission investigation into its reporting of vehicle unit sales to end customers. The automaker also said it will cooperate with inquiries into similar issues recently made by the U.S. Department of Justice. 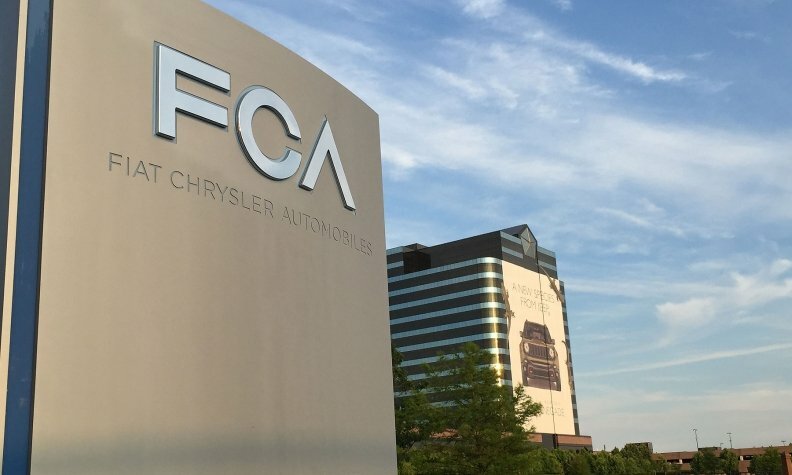 Investigators from the FBI and the SEC visited FCA field staff in their homes and offices on July 11 as part of the probe, a source told Automotive News. Federal staff attorneys also visited the headquarters of FCA US in Auburn Hills, Michigan, the same day, the source said. The person said FCA employees were advised not to speak with investigators without counsel present. Raids or visits also were conducted in Orlando, Dallas and California, the source said, and involved current and former FCA employees. The probe is in an early stage, according to two unnamed people cited by Bloomberg News. The sources asked not to be identified because the investigation is confidential. Led by its Ram and Jeep brands Fiat Chrysler has boosted U.S. sales 6.5 percent this year, putting it on track for a seventh straight year of growth since its U.S.-steered bankruptcy. Its 75-month sales winning streak is the longest of any automaker. In a statement on Monday, FCA said that in its annual and quarterly financial statements, FCA records revenues based on shipments to dealers and customers and "not on reported vehicle unit sales to end customers." A spokeswoman for the SEC declined to comment, while a spokeswoman for the FBI field office in Detroit said the agency would have no comment at this time. Early this year, a dealership group in Illinois accused FCA US of civil racketeering in a federal civil lawsuit that alleged FCA paid dealers to improperly inflate sales. FCA called the allegations baseless and an attempt to publicly smear the automaker and sought dismissal of the suit. However, in April, shortly after FCA formally responded to the suit from Napleton Automotive Group, the automaker began including a long disclaimer on its monthly U.S. sales reports. The disclaimer described FCA US’s “method for determining monthly sales” and said, in part: “FCA US reported vehicle sales represent sales of its vehicles to retail and fleet customers, as well as limited deliveries of vehicles to its officers, directors, employees and retirees. Sales from dealers to customers are reported to FCA US by dealers as sales are made on an ongoing basis through a new vehicle delivery reporting system that then compiles the reported data as of the end of each month. Similar legal disclaimers have appeared in FCA’s subsequent monthly sales reports. A spokesman said at the time that the disclaimers were unrelated to the Napleton allegations and lawsuit. The Napleton suit has brought renewed attention to the way automakers report sales results in the U.S.